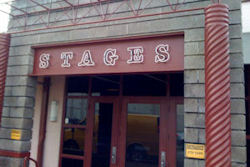 Stages Repertory Theatre is a professional Equity theatre dedicated to providing Houston's diverse audiences with challenging, provocative theatre produced with the highest artistic standards. From ground-breaking new works to modern classics, Stages brings the best of today's theatre home to Houston. "On February 22, 2019, philanthropists Lester and Sue Smith announced a $2.5 million gift to Staging Our Future: A Transformational Campaign for Stages, bringing total funds raised to $33,405,340 and allowing Stages to fully fund our new home, The Gordy. The 66,850 square foot three-theatre campus, located at 800 Rosine Street directly across the street from Stages’ current home, is slated to open in January 2020. This extraordinary new home supports Stages’ bold vision for the future of theatre-making in Houston." This smash sci-fi musical has devoured the hearts of theatre-goers for over 30 years! A nerdy flower shop clerk named Seymour stumbles across a new breed of plant which he affectionately names after his secret crush, Audrey. The exotic bloom offers the promise of fame and fortune, but Seymour soon discovers that the mysterious “Audrey II” also has a taste for blood, ominous origins and an insatiable appetite for power! The hit show that is selling out across the country is now coming to Houston! Everyone is a suspect in Murder for Two, a hilarious murder mystery with a twist. One actor plays the investigator, the other plays all 13 suspects, and both play the piano throughout! A zany blend of classic musical comedy and madcap mystery, this whodunit is a highly theatrical duet loaded with killer laughs. After failed marriages and tabloid scandals Doyle Mayfield recruits a new singing partner – also his third Debbie – in an attempt to regain his former stardom. But when Debbie’s star starts to rise, the comeback becomes a setback for this has-been legend. Featuring original songs – “When You’re Screwin’ Other Women (Think of Me),” “Barefoot and Pregnant,” and “ABCs of Love”, this brilliant parody is a hysterical tribute to country music and its beloved iconic duos. On the remote coast of Wales, 80-year-old twins Anest and Iola are determined to live out their twilight years on their own terms – even agreeing to face death together. But Anest’s daughter Menna returns home to inspire the sisters to face life instead. Salt, Root and Roe is a poetic masterwork about the nature of change, the comfort of home, and the eternal bond of love. Starring Sally Edmundson and developed through a co-production with Upstream Theater in St. Louis. Get into the holiday spirit with this classic story of the last-minute replacement Santa for the Macy’s Thanksgiving Day Parade who claims to be the real Kris Kringle. Be part of the studio audience member for the live musical radio play adapted from the original 1947 Lux Radio Broadcast. This beloved holiday classic melts the most cynical of hearts and is destined to become a highlight of the holiday season! Follow the breadcrumbs into an outrageous reimagining of the tale of Hansel and Gretel as two selfish Houston parents pursue their dream to be stars of the theatre after leaving their social-media-obsessed children in the woods. It’s going to take Buttons to save the day, but he’s busy battling an ambitious wood-nymph determined to take his place as comic sidekick. Come ready to laugh, cheer and boo as all your Panto favorites join a new cast of characters to sing, dance and make joy for the whole family! Celebrate the love of theatre itself with this timeless gem for The Gordy’s inauguration! Follow your imagination into a whimsical tale of young lovers, meddling parents, and a bond that matures in adversity. The longest-running musical in world history has been refreshed for the new century and is the perfect valentine to the theatre and the eternal power of love. An Iraq War veteran and former addict finds solace in an online chat room as he struggles to reconnect with his mother– herself a former heroin addict. Winner of the Pulitzer Prize for Drama, Water by the Spoonful is an uplifting and heartfelt meditation on broken lives, forgiveness, and the strength to carry on. The creator of The Marvelous Wonderettes brings us a brand new boot-scootin’ musical! After inheriting the Wishy Washy Washeteria from her grandmother, Lana Mae hires Katie to help run the business, but the two soon join forces to convert their good ol’ laundromat into the town’s hottest honky-tonk. This hilarious musical is packed with a country song list that spans decades of classic and contemporary hits from “I Fall to Pieces” and “These Boots Are Made for Walkin” to “Take It Back” and “Wide Open Spaces”. In a small liberal arts college, two student-led support groups work to help mitigate sexual assault on campus. But a shocking allegation divides both the Men’s Peer Education group and The Women’s Survivor Support group as they struggle to take effective action against the toxic culture of the school. Five women perform all the roles in this compelling satire about society, gender roles and contemporary college life. A long-lost journal from the notorious – and much maligned – Captain Hook offers the true tale of Peter Pan, and nothing is as you have been told! Award-winning playwright John Peilmeier (Agnes of God) joins Stages’ favorite Donald Corren (Bobby Riggs in Balls!) to create a one man tour-de-force that tells the Pan story from Hook’s point of view. Finally discover the friendly alligator, the helpful tick of the clock, the true love of the island’s indigenous population, and the real price of never growing old in this magical, theatrical romp for the whole family. In a small Vermont town, an unlikely company of strangers sign up for a six-week drama class: a recently divorced carpenter, a high school junior, a former actress, and the husband of the class instructor. As the weeks pass, the powerful class exercises inspire both teacher and students to face their lives with greater courage. A quirky group of champion air guitarists is challenged by Nina, an ambitious female new-comer. As Nina pursues the national air- guitar title, she develops a true understanding of an art form she had once mocked – and finds her heart along the way too! Airness is an exuberant celebration of rock and roll and the towering rock performances that dare us all to pick up our imaginary guitars.